At Street Bean, we believe in the creed, think globally, act locally. That is why, in addition to facilitating apprenticeships for street-involved young adults, we also source only ethical coffees. That is, coffees that come from communities where our purchase of their goods have a direct impact. Some farms may belong to a cooperative where the representatives help to educate their communities about sustainable growing practices, while others may be producing stellar coffees, but were not getting what it was worth in the past. As you shop our coffees, please notice that not all will be Fair Trade or Organic certified, while some will be. This is due to the fact that it is very difficult and very expensive for farms to pursue these certifications. However, all of our coffees meet or exceed the Fair Trade and Organic certification requirements. Our support of these smaller farms helps them to pursue those certifications. 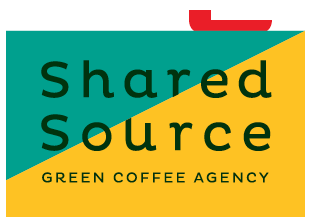 We just started using Shared Source in 2018, but have already purchased most of our coffees from them. Their dedication to working with microlot producers that otherwise do not get their coffees to the world market, and offering those producers higher-than-average prices, and their commitment to transparency, make them a preferred importer of ours. Sustainable Harvest is more than just a green coffee importer. They partner with producers that not only grow exceptional coffees, but do good in their community and maintain sustainable growing practices as well. In addition, they created the Relationship Coffee Institute to increase social and economic opportunities for coffee farmers and their families. Our purchase of their green coffee offerings results directly in positive change at origin. La Marzocco has been a long-time supporter of Street Bean, providing better access to some of the best coffee equipment in the world. acaia is another long-time supporter of Street Bean, providing access to superior scales, which we use to serve espresso, perform pour-overs, and much more! acaia's scales are great both at home and in the shop. Pacific Bag manufactures some of the best food packaging in the world. What's more is, they're local! Even more, though, is that they partner with a non-profit. In 2017, they partnered with The Coffee Trust, a non-profit dedicated to working with coffee producers and their families in the Ixil region of Guatemala. A portion of Pacific Bag's sales went to The Coffee Trust, which provided farmer to farmer education, programs empowering families and their health and food need, and support for farmer's small businesses including programs for women.